The Gateway Hotel Pasumalai Madurai (Tamilnadu, India) is a hundred year-old celebrated property is perched atop the Pasumalai hill, amidst 62 acres of landscaped gardens. 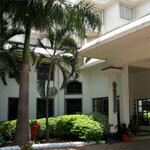 The hotel offers a panoramic view of the Temple City and the Kodai hills. 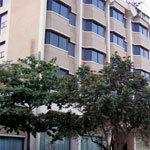 It is a 15-minute drive from the famous Meenakshi temple and city centre. 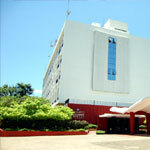 Hotel GRT Regency Madurai (Tamilnadu, India) is just the right halt for the transiting business person moving between Kerala, Tamil Nadu and Karnataka . Hotel Germanus is located in the heart of Madurai (Tamilnadu, India), the city of temples and the home of generous hospitality. 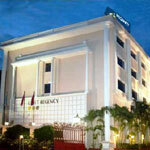 The one name that lets you experience it first-hand is Best Western Germanus. HOTEL SANGAM (Madurai) is situated in the heart of Madurai (TamilNadu-INDIA) at a distance of 14 kms from Madurai airport and 4 kms from Madurai Junction on the Alagarkoil Road. Fortune Pandiyan Hotel is located in Madurai - Tamilnadu's most happening cultural arena, situated on the banks of the river Vaigai, Madurai is the second largest city of Tamilnadu, a southern state in India. The name Madurai - mathuram means "sweetness" in Tourist. 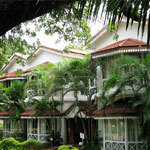 Fortune Pandiyan Hotel is set amidst 3 acres of gardens. 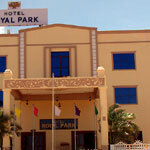 Hotel Royal Park is located at Rameswaram (Tamilnadu, India) 2 kms from Ramanath Swami Temple and Railway Station.